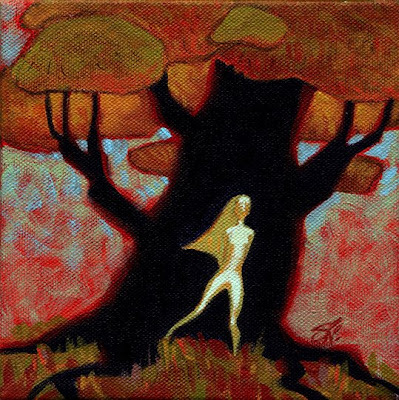 The colors and setting remember me of some other painting you already presented in this blog... ahh yeah I found it: The Blag Tree. But The Ghost is not that creepy. It's true. The black trees are a recurring theme. There's another I haven't posted yet. Something still to explore there.